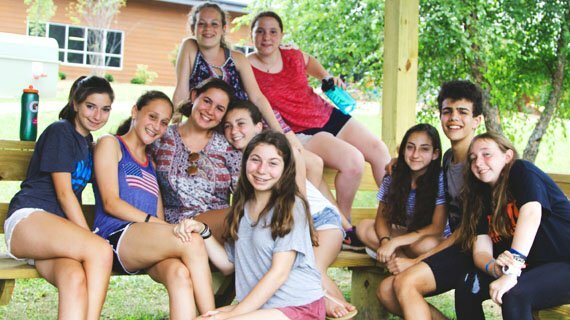 Each day at Camp Judaea is a new adventure! From wake-up to bedtime, campers are engaged, encouraged, and entertained. 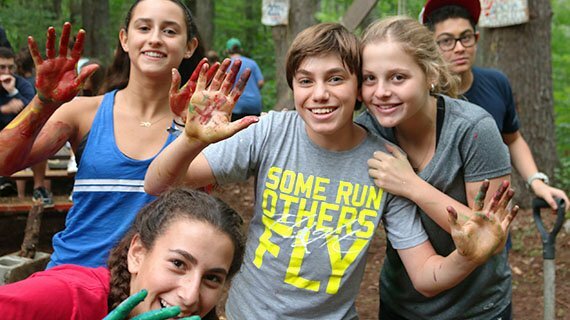 Camp Judaea provides the perfect mix of thrilling, high energy activities with insightful learning and growth opportunities. The atmosphere is intimate, family-like where campers and staff alike are known, supported, cared for, and embraced. 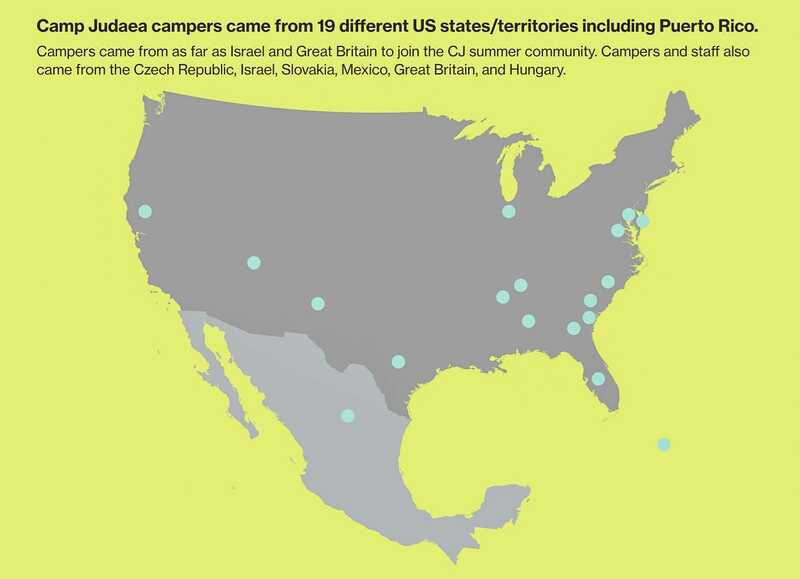 The Camp Judaea family stretches far and wide! 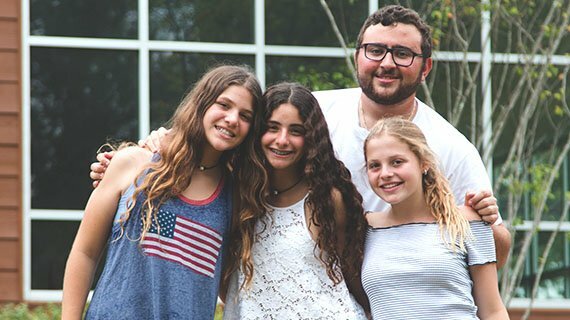 While most of our community is settled in the southeast United States, campers travel from as far as Israel, Singapore, the UK, and Central and South Americas to join our summer programs! We invite and welcome campers who can be successful in a group living environment. We strive to understand the needs of every camper and work hard to ensure that campers of varying abilities are given every opportunity to participate and thrive in a supportive environment while promoting fun, learning, and new experiences. 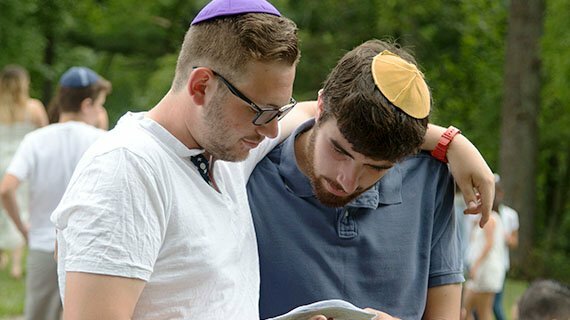 The principle of kol yisrael arevim zeh lazeh (all of Israel is responsible for one another) guides us as we strive to include a place for each individual camper to succeed at camp. Our program, and our commitment to serving children with a range of needs, continues to evolve to meet the ever-changing needs of our community. 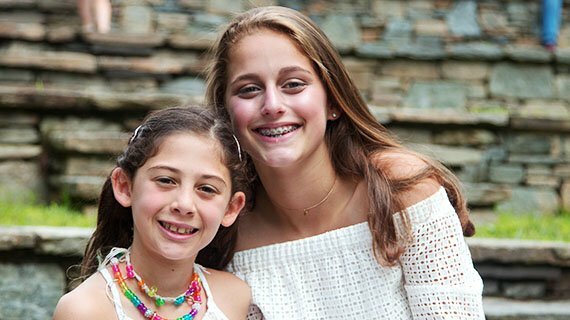 Please contact us if you have questions about whether or not Camp Judaea is the right place for your child.